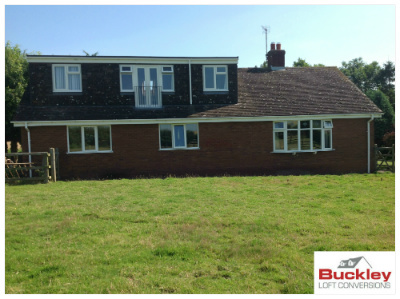 Buckley Loft Conversions are specialists in dormer loft conversions and have been trading for over 25 years; we have been helping people turn their living spaces into their dream homes by making the most of the unused space in their lofts and attics. 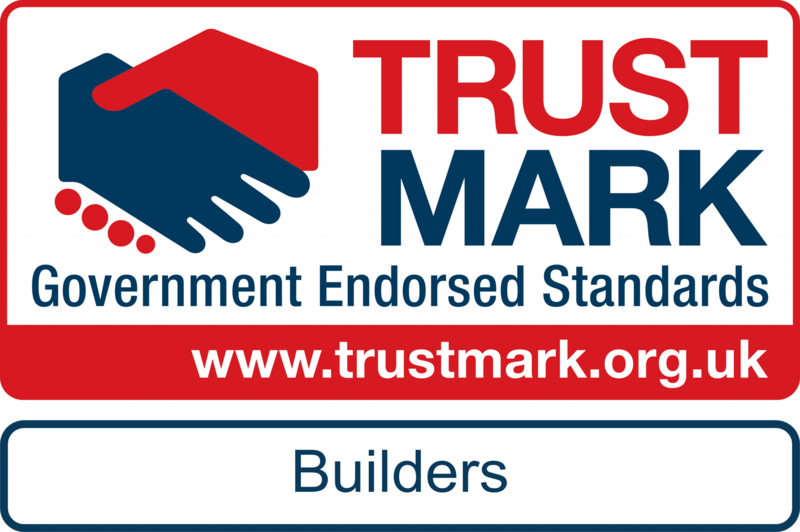 If you require expert dormer loft conversion advice and a quality design service to ensure your dormer loft conversion helps you add value as well as square footage to your home, and you would like a completely managed service including construction and finishing, then visit our Contact Page for a free Quote & Design. If you need more information before deciding on converting your loft with a dormer loft conversion, hopefully the examples below will help. Dormer loft conversions are a excellent choice for lofts with limited height, as it physically extends the existing roof, adding both floor space and headroom. Internally, dormer conversions provide a more conventional room shape, with a horizontal ceiling and vertical walls, rather than the sloping wall/ceilings often associated with Velux conversions. 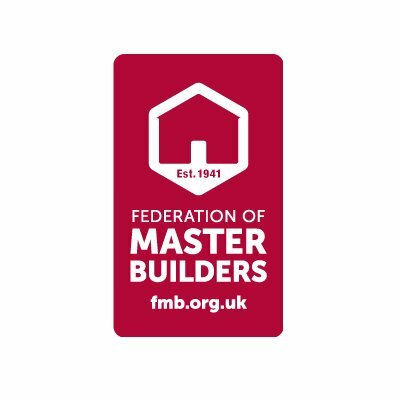 – Loft conversions add the most internal space, but alter the roof line, which means they are not always as aesthetically pleasing as other loft conversion styles. 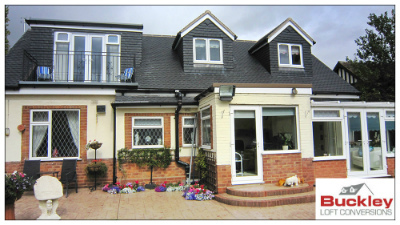 -Loft conversions feature dormer windows with their own ‘hipped’ roof. 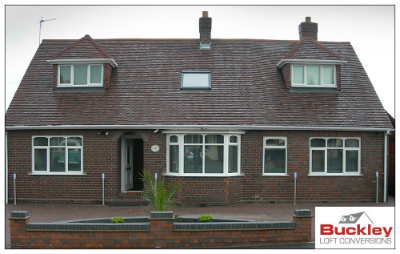 -Loft conversions are those with windows that look like miniature gables. -Incorporating french doors with a metal balustrade is a great light-enhancing feature for new rooms in former roof spaces and many people are choosing this option, space permitting. -loft conversions which have this type of dormer window is often called cottage style and is particularly suited to older houses and cottages – they are very aesthetically pleasing to the eye. 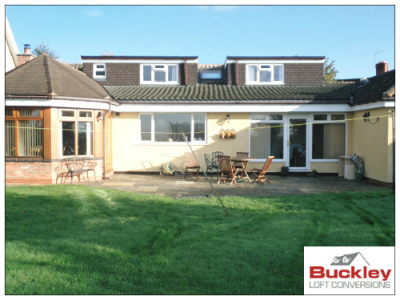 We’re so proud of the dormer loft conversions we’ve created across the West Midlands that all the photography on our galley page is of actual Buckley conversions. To view a gallery of internal and external images of just a handful of the conversions we’ve created over the years, view the Gallery page. 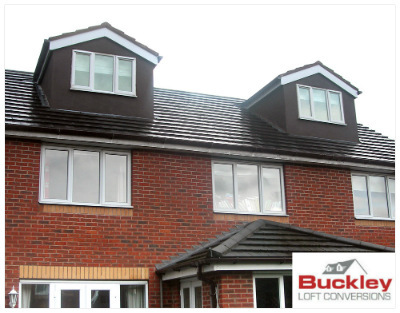 Buckley Loft Conversions are the premier dormer loft conversions company in the West Midlands serving areas including Birmingham, Cannock, Derby, Dudley, Lichfield, Shropshire, Sutton Coldfield, Solihull, Stafford, Staffordshire, Tamworth, Telford, Walsall, West Bromwich and Wolverhampton. If you are outgrowing your home but can’t move – or maybe you don’t want to move – what can you do? Adding space through a dormer loft conversion could be the perfect solution – prices for conversion are lower and it can add value to your home as well.